For the Lebanese political coalition, see March 8 Alliance. March 8 is the 67th day of the year(68th in leap years) in the Gregorian calendar.There are 298 days remaining until the end of the year. 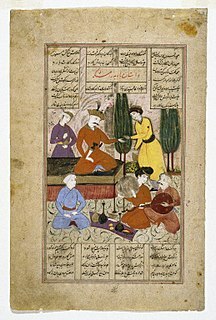 1010 – Ferdowsi completes his epic poem Shahnameh . 1126 – Following the death of his mother Urraca, Alfonso VII is proclaimed king of Castile and León. 1262 – Battle of Hausbergen between bourgeois militias and the army of the bishop of Strasbourg. 1576 – Spanish explorer Diego García de Palacio first sights the ruins of the ancient Mayan city of Copán. 1618 – Johannes Kepler discovers the third law of planetary motion. 1655 – John Casor becomes the first legally-recognized slave in England's North American colonies where a crime was not committed. 1658 – Treaty of Roskilde: After a devastating defeat in the Northern Wars (1655–1661), Frederick III, the King of Denmark–Norway is forced to give up nearly half his territory to Sweden to save the rest. 1702 – Queen Anne, the younger sister of Mary II, becomes Queen regnant of England, Scotland, and Ireland. 1722 – The Safavid Empire of Iran is defeated by an army from Afghanistan at the Battle of Gulnabad, pushing Iran into anarchy. 1736 – Nader Shah, founder of the Afsharid dynasty, is crowned Shah of Iran. 1775 – An anonymous writer, thought by some to be Thomas Paine, publishes "African Slavery in America", the first article in the American colonies calling for the emancipation of slaves and the abolition of slavery. 1777 – Regiments from Ansbach and Bayreuth, sent to support Great Britain in the American Revolutionary War, mutiny in the town of Ochsenfurt. 1782 – Gnadenhutten massacre: Ninety-six Native Americans in Gnadenhutten, Ohio, who had converted to Christianity, are killed by Pennsylvania militiamen in retaliation for raids carried out by other Indian tribes. 1801 – War of the Second Coalition: At the Battle of Abukir, a British force under Sir Ralph Abercromby lands in Egypt with the aim of ending the French campaign in Egypt and Syria. 1844 – King Oscar I ascends to the thrones of Sweden and Norway. 1862 – American Civil War: The Naval Battle of Hampton Roads begins. 1868 – Sakai incident: Japanese samurai kill 11 French sailors in the port of Sakai, Osaka. 1910 – French aviator Raymonde de Laroche becomes the first woman to receive a pilot's license. 1914 – First flights (for the Royal Thai Air Force) at Don Mueang International Airport in Bangkok. 1916 – World War I: A British force unsuccessfully attempts to relieve the siege of Kut (present-day Iraq) in the Battle of Dujaila. 1917 – International Women's Day protests in St. Petersburg mark the beginning of the February Revolution (February 23rd in the Julian calendar). 1917 – The United States Senate votes to limit filibusters by adopting the cloture rule. 1920 – The Arab Kingdom of Syria, the first modern Arab state to come into existence, is established. 1921 – Spanish Prime Minister Eduardo Dato Iradier is assassinated while exiting the parliament building in Madrid. 1924 – A mine disaster kills 172 coal miners near Castle Gate, Utah. 1936 – Daytona Beach and Road Course holds its first oval stock car race. 1937 – Spanish Civil War: The Battle of Guadalajara begins. 1942 – World War II: Imperial Japanese Army forces gave ultimatum to Dutch East Indies Governor General Jonkheer Tjarda van Starkenborgh Stachouwer and KNIL Commander in Chief Lieutenant General Hein Ter Poorten, to unconditionally surrender. 1942 – World War II: Imperial Japanese Army forces captured Rangoon, Burma from British. 1947 – Thirteen thousand troops of the Republic of China Army arrive in Taiwan after the February 28 Incident and launch crackdowns which kill thousands of people, including many elites. This turns into a major root of the Taiwan independence movement. 1949 – President of France Vincent Auriol and ex-emperor of Annam Bảo Đại sign the Élysée Accords, giving Vietnam greater independence from France and creating the State of Vietnam to oppose Viet Minh-led Democratic Republic of Vietnam. 1957 – Egypt re-opens the Suez Canal after the Suez Crisis. 1957 – The 1957 Georgia Memorial to Congress, which petitions the U.S. Congress to declare the ratification of the 14th and 15th Amendments to the U.S. Constitution null and void, is adopted by the U.S. state of Georgia. 1963 – The Ba'ath Party comes to power in Syria in a coup d'état by a clique of quasi-leftist Syrian Army officers calling themselves the National Council of the Revolutionary Command. 1965 – Thirty-five hundred United States Marines are the first American land combat forces committed during the Vietnam War. 1966 – Nelson's Pillar in Dublin, Ireland, destroyed by a bomb. 1971 – The Fight of the Century between Joe Frazier and Muhammad Ali commences. Frazier wins in 15 rounds via unanimous decision. 1979 – Philips demonstrates the compact disc publicly for the first time. 1983 – Cold War: While addressing a convention of Evangelicals, U.S. President Ronald Reagan labels the Soviet Union an "evil empire". 1985 – A supposed failed assassination attempt on Islamic cleric Sayyed Mohammad Hussein Fadlallah in Beirut, Lebanon kills at least 45 and injures 175 others. 2014 – Malaysia Airlines Flight 370, carrying a total of 239 people, disappears en route from Kuala Lumpur to Beijing. 2017 – The Azure Window, a natural arch on the Maltese island of Gozo, collapsed in stormy weather. Abu ʾl-Qasim Firdowsi Tusi, or Ferdowsi was a Persian poet and the author of Shahnameh, which is the world's longest epic poem created by a single poet, and the national epic of Greater Iran. Ferdowsi is celebrated as the most influential figure in Persian literature and one of the greatest in the history of literature. The Shahnameh is a long epic poem written by the Persian poet Ferdowsi between c. 977 and 1010 CE and is the national epic of Greater Iran. Consisting of some 50,000 "distichs" or couplets, the Shahnameh is the world's longest epic poem written by a single poet. It tells mainly the mythical and to some extent the historical past of the Persian Empire from the creation of the world until the Arab conquest of Iran in the 7th century. Modern Iran, Azerbaijan, Afghanistan and the greater region influenced by Persian culture celebrate this national epic. Year 1286 (MCCLXXXVI) was a common year starting on Tuesday of the Julian calendar. John III the Good was duke of Brittany, from 1312 to his death and 5th Earl of Richmond from 1334 to his death. He was the son of Duke Arthur II and Mary of Limoges, his first wife. John was strongly opposed to his father's second marriage to Yolande of Dreux, Queen of Scotland and attempted to contest its legality. Year 1293 (MCCXCIII) was a common year starting on Thursday of the Julian calendar. Year 819 (DCCCXIX) was a common year starting on Saturday of the Julian calendar. Li Shidao was a general of the Chinese Tang dynasty, who, as the successor to his brother Li Shigu, ruled Pinglu Circuit in a de facto independent manner from the imperial government. In 818, after he reneged on an offer to submit three of Pinglu's 12 prefectures to imperial control, Emperor Xianzong declared a campaign against him. In 819, his officer Liu Wu turned against him and killed him, submitting to imperial authority. Year 865 (DCCCLXV) was a common year starting on Monday of the Julian calendar. Felix of Burgundy, also known as Felix of Dunwich, was a saint and the first bishop of the East Angles. 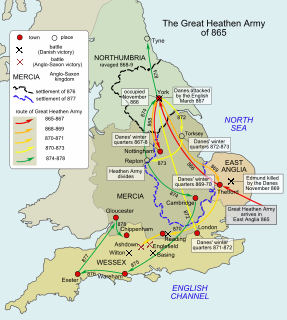 He is widely credited as the man who introduced Christianity to the kingdom of East Anglia. Almost all that is known about the saint originates from The Ecclesiastical History of the English People, completed by Bede in about 731, and the Anglo-Saxon Chronicle. Bede praised Felix for delivering "all the province of East Anglia from long-standing unrighteousness and unhappiness". Geoffrey Anketell Studdert Kennedy (1883–1929) was an English Anglican priest and poet. He was nicknamed Woodbine Willie during World War I for giving Woodbine cigarettes along with spiritual aid to injured and dying soldiers. The Church of England commemorates many of the same saints as those in the General Roman Calendar, mostly on the same days, but also commemorates various notable Christians who have not been canonised by Rome, with a particular though not exclusive emphasis on those of English origin. There are differences in the calendars of other churches of the Anglican Communion. Blessed Gerard of Clairvaux was the sixth abbot of Clairvaux. He was murdered by a rebellious monk and is counted as the first Cistercian martyr. Edward King was a bishop of the Church of England. April 11 is the 101st day of the year in the Gregorian calendar. 264 days remain until the end of the year. July 10 is the 191st day of the year in the Gregorian calendar. 174 days remain until the end of the year. January 11 is the 11th day of the year in the Gregorian calendar. 354 days remain until the end of the year. ↑ @Kartemquin (8 March 2015). "Happy birthday to this guy!" (Tweet). Retrieved 6 April 2019– via Twitter. ↑ Bang, Dongsik; Lee, Eun-So; Sohn, Seonghyang (2001-03-08). Behçet’s Disease: A Guide to its Clinical Understanding Textbook and Atlas. Springer Science & Business Media. p. 84. ISBN 9783540667612. ↑ O'Donnell, Maureen (8 March 2019). "Marshall Brodien, 'TV Magic' pitchman, Wizzo the Wizard on 'Bozo,' dead at 84". Chicago Sun-Times . Retrieved 8 March 2019. ↑ "Former 49ers All-Pro defensive end Cedrick Hardman dies at 70". NFL.com. Retrieved March 10, 2019. Wikimedia Commons has media related to March 8 .